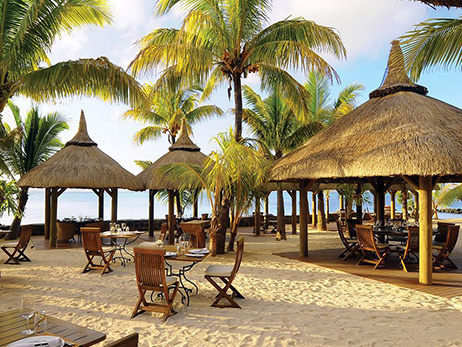 Le Paradis Hotel & Golf Club is one of the finest 5-star luxury hotels in Mauritius on the superb location of Morne Peninsula at the island's south-western tip.The beach resort offers accommodation in Junior and Senior suites and 13 luxury villas situated on a secluded beach. Le Paradis shares with its neighbour Dinarobin, a Beachcomber hotel of same category, the same services and facilities to stand as one of the island's greatest attractions in terms of quality and variety. 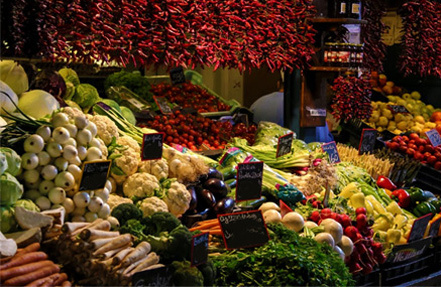 Le Paradis will take you on a fantastic culinary journey at its four restaurants that cater for all tastes. La Ravanne offers Mauritian fare and Le Brabant an exquisite international menu. 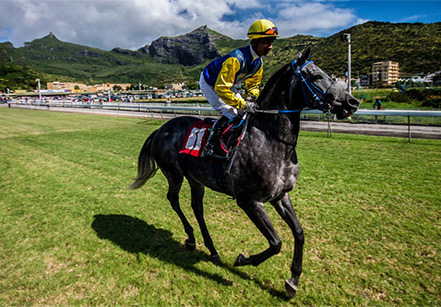 The hotel, which boasts the largest sports centre in Mauritius, offers an extensive choice of complimentary land and water sports as well as access to three championship golf courses including its very own 18-hole international golf course. The hotel has its own golf academy that welcomes beginners and seasoned golfers alike. A Spa by Clarins offers treatments in the tranquil setting and zen atmosphere of thatched-roof cabins. This room offers a beautiful view onto the white shores of Le Morne beach. The spacious bedroom extends onto a comfortable lounge area and terrace. The en-suite bathroom offers a bathtub and separate walk-in shower. Guests will enjoy the privacy and charm of this room. This cosy room is set amidst the lush gardens, in a peaceful corner of the hotel. The bedroom opens onto the lounge area and terrace. Guests will enjoy the view of the tropical greenery, the lagoon beyond and Le Morne mountain. Guests will be greeted by the magnificent view of the sea each morning. As its name indicates, this suite is only a few steps away from the beach. A spacious bedroom opens onto the lounge area and terrace, where guests will enjoy comfortable island living. Surrounded by tropical gardens, the Junior Suites are located at the heart of the hotel. The bedroom is spacious and extends to the lounge area and terrace. This suite is perfect for a couple seeking peaceful quality time together. Paradis' restaurants combine an elegant atmosphere and fine cuisine. The interchange of facilities with the 5-star Dinarobin, allows access to four additional restaurants, making the Morne Peninsula a unique haven of fine food offering both quality with variety. Located by the pool and overlooking the ocean, Le Brabant is Paradis’ main restaurant. Divided into smaller areas for more privacy and tranquillity, the restaurant is renowned for its international buffets and theme nights. Breakfast : buffet style from 7.30 a.m. to 10 a.m - Lunch : from 12.30 p.m. to 2.30 p.m.
Dinner : theme buffets every night from 7 p.m. to 10 p.m.
Lovers of Italian cuisine will relish in La Palma restaurant. From the minute you step into the chic outdoor setting, you know you will have a great experience. The interior of the restaurant has a welcoming and warm ambience with muted, rich, deep colours while terracotta paired with wrought iron evokes a classic Mediterranean style. La Palma Beach, an extension of La Palma restaurant, beckons guests to eat in the shade of thatched umbrellas right on the beach. Dinner: (on reservation) "A la Carte" from 7 p.m. to 10.30 p.m. (with a supplement on the half-board credit). La Palma Beach is an extension of La Palma restaurant situated on the beach. It seats 40 and is open for lunch (also open for dinner on a seasonal basis). Lunch: "A la Carte" - snacks and salads - from 12.30 p.m. to 2.30 p.m.
Overlooking the lagoon, the Blue Marlin restaurant specializes in fresh fish and seafood. There is an ocean theme throughout the restaurant with deep blue shades, wood and copper finishes and walls dotted with portholes evocative of the top deck of a liner cruising the Indian Ocean. Breakfast: from 7.30 a.m. to 10 a.m - Lunch: "A la Carte" from 12.30 p.m. to 3 p.m.
Dinner: (on reservation) from 7 p.m. to 10 p.m. - Half-board menu or "A la Carte" (with a supplement on the half-board credit). Dine beneath the stars at La Ravanne. To add to the magic, the beach and the ocean act as a romantic backdrop. In this exquisite setting, taste delicious Creole dishes prepared with the best local ingredients. 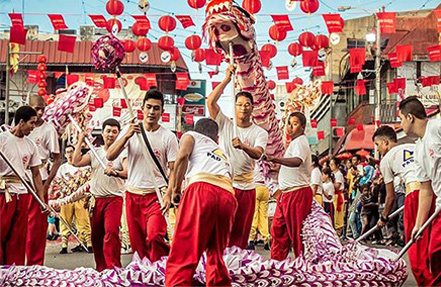 Immerse yourself in the typical island lifestyle and enjoy the authentic taste of Mauritius. Paradis' main bar is the perfect mix of style and conviviality. It is fitted with comfortable wooden armchairs spread across the spacious interior and open-air area opening onto the main pool or the beach and sea. Its ideal location at the heart of the hotel makes it the hub of entertainment at night. At any time of the day, guests can unwind peacefully while enjoying fantastic views of the beach and sea. Paradis' main bar is also famous for its delicious pancakes with a choice of fancy fillings served every afternoon! The restaurants & bars at Dinarobin are also open to guests of Paradis (on reservation). On the Morne Peninsula, Paradis' Spa, affiliated to the Clarins brand stretches between the resort's spectacular 18-hole golf course and the most beautiful beach in Mauritius. The focus is on the relaxation and beauty down to the smallest details. A wooden path lined with pebbles winds between large rocks, coconut trees and tropical greenery to the Spa entrance. The entrance opens on one side into the area dedicated for spa treatments and on the other side into the hair and beauty salon. The structure of the area dedicated to treatments revolves around a series of thatch-roofed cabins linked together and centering onto a cosy interior garden planted with frangipane trees. Reflecting pools decorated with flowers, warm colours and Buddhist statues recreate the serene ambiance of Asian Spas. Like all Beachcomber hotels, Paradis offers a range of land and water sports, most of which are complimentary. Golf Unforgettable is the only word to describe around of golf on the course at Paradis Hotel. Set against the backdrop of majestic mountains, the fairways and greens curl along the shoreline of a spectacular bay. The claim that this is one of the most beautiful golf courses in Mauritius is a valid one. Built within the resort's grounds, the 18-hole Par 72 golf course stretches along 5,924 meters between the iconic Morne mountain and the crystal-clear lagoon of the Morne peninsula. Paradis' mini-club welcomes kids aged 3 to 12 in a convivial area located at the heart of the hotel, close to the main areas. Kids under three years are accepted, provided they are accompanied by their parents or a baby-sitter employed by the hotel. The decor and atmosphere evoke the traditional Gaul village of Astérix, the famous character of the series of French comic strips. The living areas, furnished with miniature tables and chairs specially designed for kids, open onto the mini-club's gardens. Adding comfort and flexibility, the mini-club has its own restaurant. The interior consists of a spacious all-purpose room which houses kids' toys and facilities as well as a dedicated TV corner. 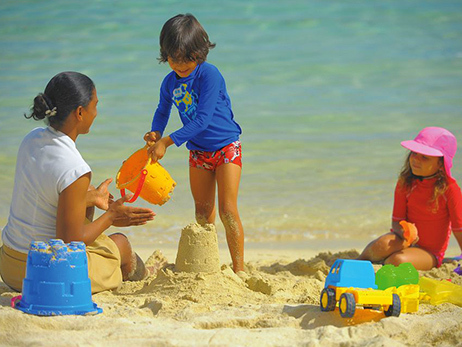 Besides the traditional range of toys and games available to kids, Paradis' mini-club is committed to provide unique activities, in line with the image of the resort, known to be a family-friendly 5-star resort. 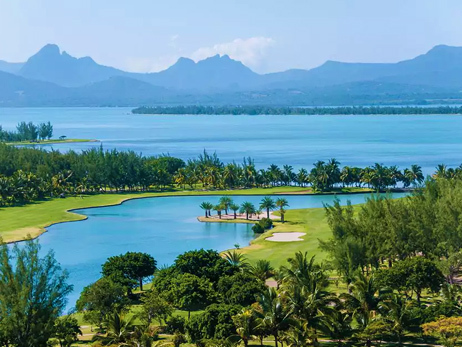 For instance, kids from four years old can learn to water-ski in one of the most scenic lagoons in Mauritius whereas kids aged 6 to 12 can also learn the basics of golf. A special programme, the "Bubble Maker" allows kids as from 8 years old to experience the thrill of diving in the pool under the professional care of a qualified instructor. Wherever you are, you can relax in the knowledge that your kids are in the safe hands of a caring and qualified staff, committed to make their holiday, the holiday of a lifetime. A baby-sitting service is also available with supplement. Reservations must be made 24 hours in advance at the Reception.